UFC Fight Night 104 went down tonight (Saturday, February 4, 2017) from the Toyota Center in Houston, Texas. The headliner saw “The Korean Zombie”, Chan Sung Jung return from a three-and-a-half-year layoff due to injury and mandatory military service. Was it ever a spectacular return to action. After getting rocked himself, Jung crushed Dennis Bermudez with an uppercut that prompted referee Herb Dean into action. He took home an extra $50,000 Performance of the Night bonus for his work. The other Performance bonus went to main card heavyweight Marcel Fortuna, who knocked out Anthony Hamilton in the first round of their main card tilt. Hamilton did not respect the striking of the Brazilian jiu-jitsu black belt, charging recklessly forward. He was rocked by a right hand but recovered. A second one soon after left Hamilton on the canvas in a heap. Fortuna, who competed on season 23 of “The Ultimate Fighter” (eliminated before getting into the house) as a light heavyweight, weighed in at only 210.5 pounds. The former Dragon House light heavyweight champion said he would move back to 205 following the biggest win of his career. The Fight of the Night was a no-brainer. 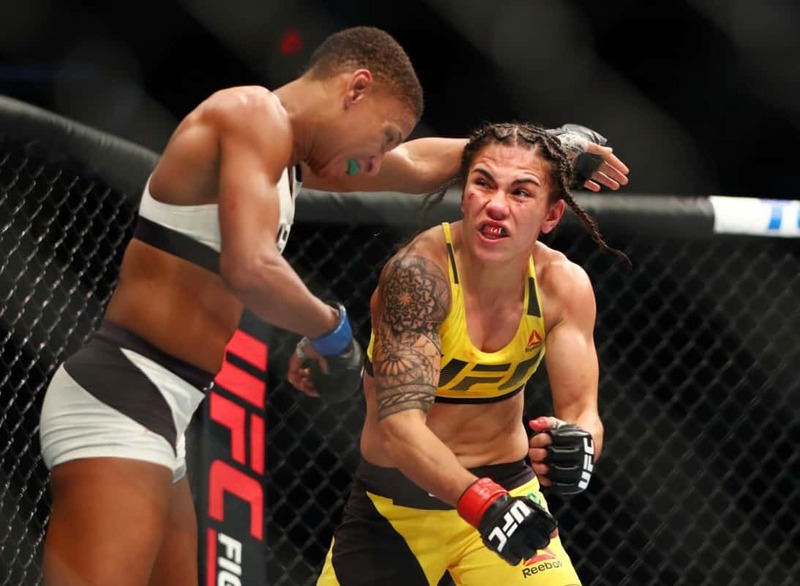 The main card was kicked off by an epic slugfest between Angela Hill and Jessica Andrade. The Brazilian proved far too tough and powerful for Hill, but “Overkill” refused to go away under a relentless onslaught from the new number one contender. Hill had some success when she could maintain distance, but Andrade walked her down Terminator-style. Whenever Hill got close the cage, Andrade would uncork a vicious salvo of haymakers and knees. Hill gamely fought her way out of every corner Andrade trapped her in, eating a dumb-founding amount of heavy leather for her troubles. 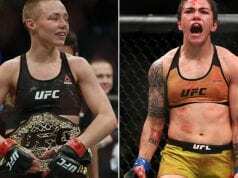 Hill was not without her moments, as she rocked Andrade at one point, but they were few and far between compared to Andrade. 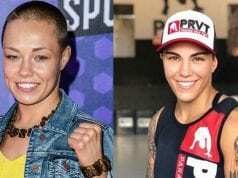 Both women pocketed an extra $50,000 for their spirited effort. Keep it locked to LowKickMMA for all the UFC Fight Night 104 post-fight coverage.